The Carle Place Middle School Builders Club and High School Key Club recently ran a Thanksgiving Food Drive to collect donations for families in need this holiday season. The middle school alone collected more than 300 non-perishable food items from student donations as well as more than 500 non-perishable items from their food drive at North Shore Farms. Students collected donations for six hours on Saturday, Nov. 17 for this worthy cause. The food collected will help more than 100 families enjoy a holiday meal. The Key Club followed up their effort by organizing and hosting a blood drive in conjunction with Long Island Blood Services on Nov. 20. By the end of the day, 72 pints of blood were collected from staff, students and community members. According to Long Island Blood Services, one pint of blood can save up to three lives. Carle Place MS/HS will host the next blood drive on Feb. 26 in the multipurpose room. 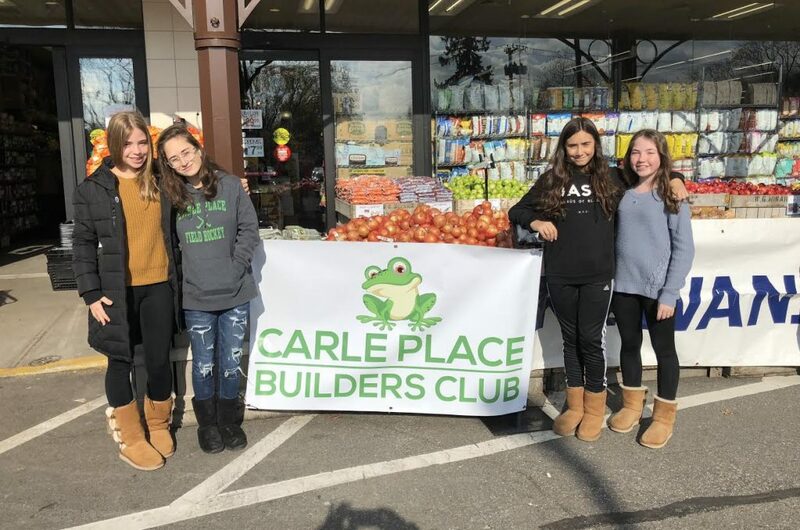 Photo Caption 1: The Carle Place MS Builders Club collected over 500 non-perishable items during a recent food drive held at North Shore Farms. 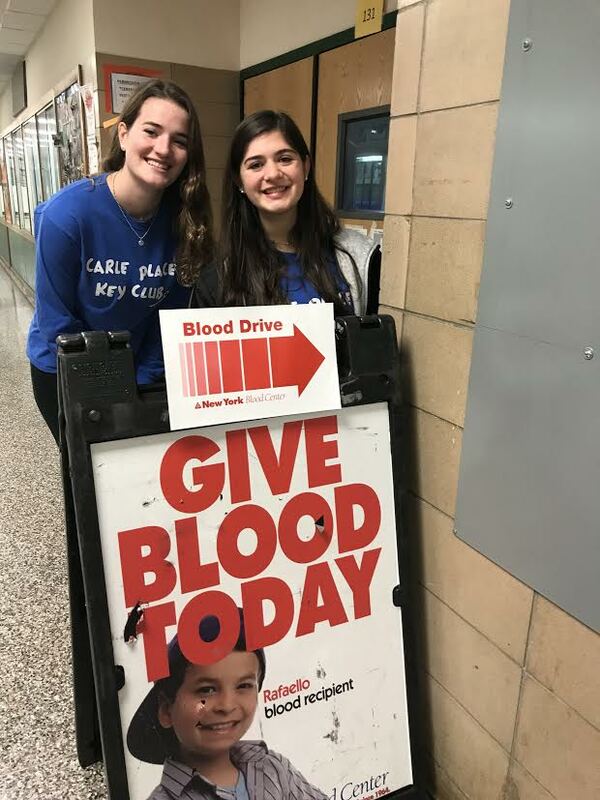 Photo Caption 2: The Carle Place HS Key Club recently organized a blood drive at the school, where 72 pints of blood were collected for Long Island Blood Services.